As recently stated in our website, Hort Americas is focused on helping growers conserve one of their most precious commodities…WATER. A hot and popular topic with the media (see this months National Geographic), politicians (see Rueters) and with business men (see T. Boone Pickens), water is already heavily debated and will more than likely play a major role in how our industry grows in the years to come. Since we feel “water” is such an important topic we are going to spend the next few posts focusing in on commonly overlooked or misunderstood areas of irrigation. The first topic is going to be hydraulic control valves. 1.) Accurate water pressure to promote uniform vegetation growth. Valves are important part of any irrigation system because, if used and maintained properly, they precisely control the flow of water. While it could be said that each irrigation system is unique, it is obvious that well built systems have a few things in common. 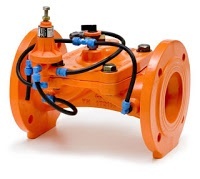 It is important to select hydraulic control valves that consistently deliver fast, accurate pressure regulation for your greenhouse irrigation system. Ooval available from Hort Americas and provided exclusively in the US and Canada through Amiad Filtration Systems are the fastest responding, most accurate valves in their class. Ooval, in operation since 2003, was started by three founders with over 70 years of experience in drip and greenhouse irrigation in the highly arid Middle Eastern climate of Israel to bring innovative, high-added value valves to the global irrigation marketplace.